I use the word “evolution” loosely, because amongst Visio geeks developers, Microsoft has been rather errant in adding features to make Visio development easier. 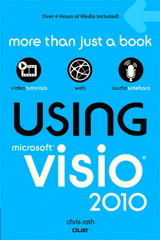 This is the Word Balloon shape, which was created in 2008, using Visio 2007 (probably). I believe that the word balloon file had been saved in as late as Visio 2010, and amazingly, Visio 2003 was still able to open it. 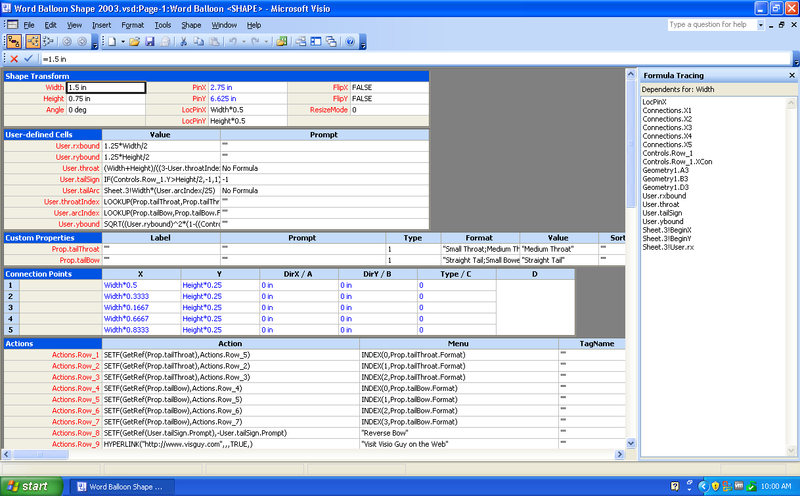 Visio 2000 choked on it, but I was able to save in “Visio 2002 format” from Visio 2010 (what is Visio 2002, by the way? 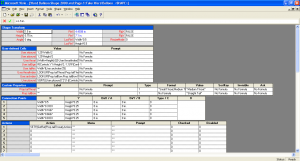 ), and Visio 2000 was able to handle that file. The shape then worked just fine. 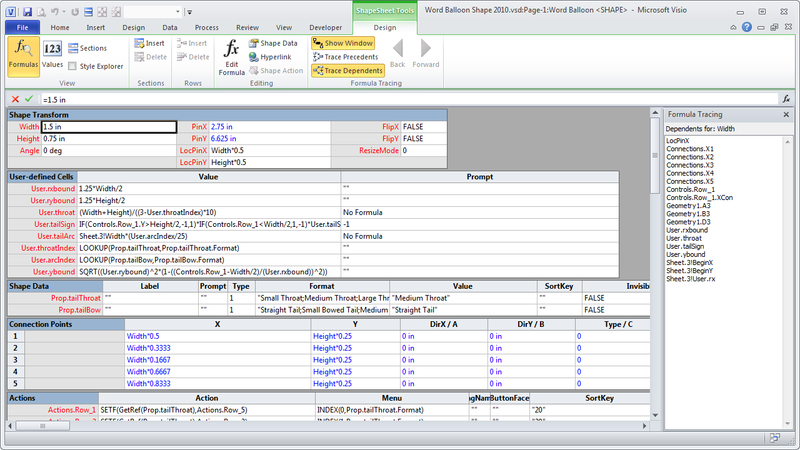 Let’s start with small shots of the ShapeSheet for Visio 2000, 2003, 2007, 2010 and 2013. At the end of the article, I’ll add glorious, full-screen (~1200 x ~700) shots for your drooling pleasure. The ShapeSheet looks basically the same, but with colors and borders slowly become more understated. 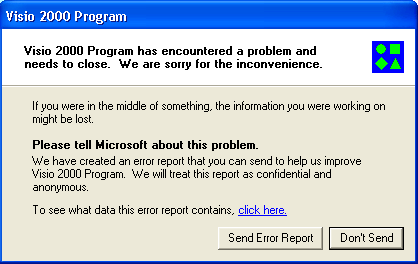 Now I said that the “saved as Visio 2002” shape worked just fine. 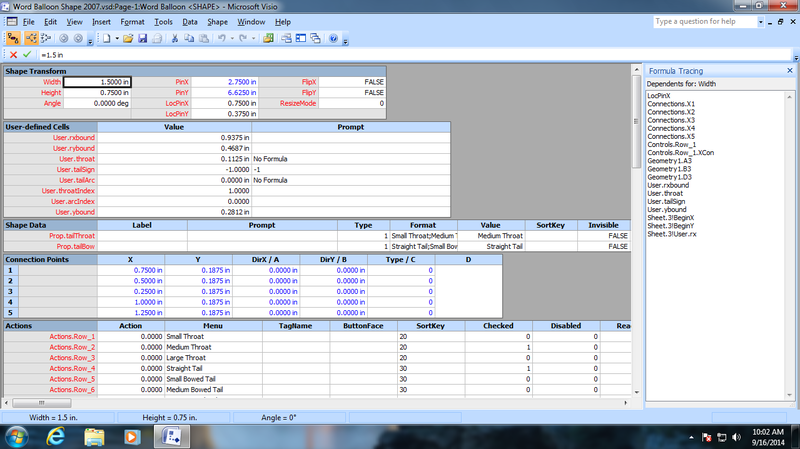 But when I tried to show the ShapeSheet for it, this is what I got: BOOM! 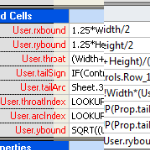 I suspect that the named control-handle rows had something to do with the problem. 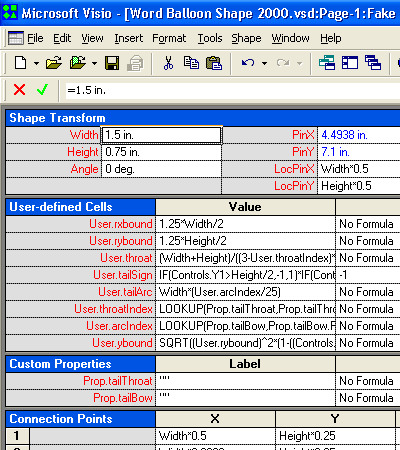 The Word Balloon shape has newer-style control handles, that support names, such as Controls.Callout.X, Controls.TextPos.Y, etc., whereas up to Visio 2000, you only had indexed rows, such as Controls.X1, Controls.X2, etc. Anyway, I drew a rectangle, and copied as many of the cells as needed to make the full-screen ShapeSheet image, so that I could complete the series of screenshots. Ok, here are the big shots for those of you not reading this on a data plan. 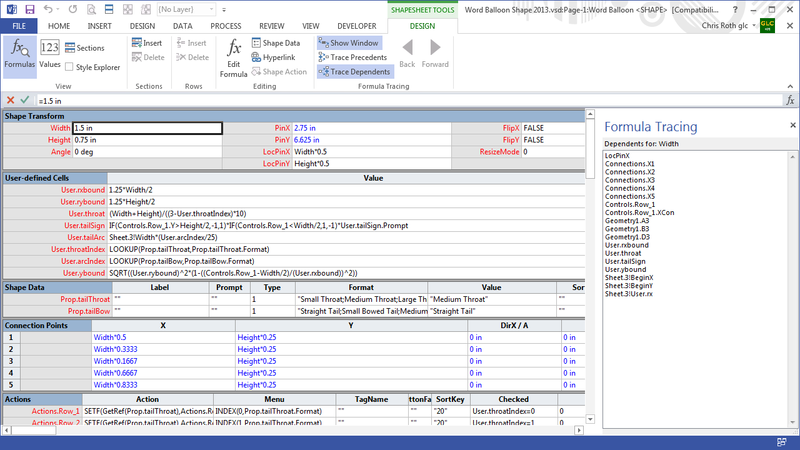 News flash: this is the first time that the Formula Tracing window is available. 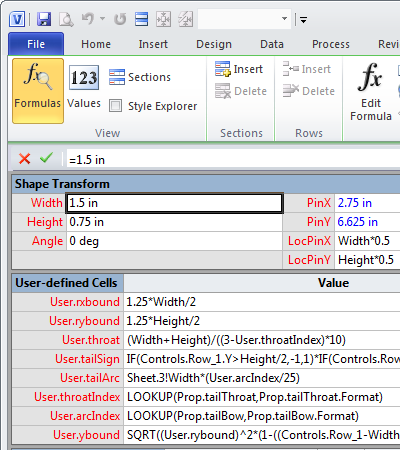 With formula tracing, you can see which cells depend on the selected cell (dependents), or which cells the selected cell depends on (precedents). 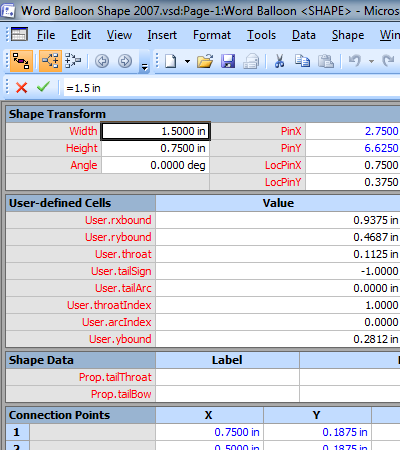 This is one of the biggest improvements that Microsoft ever made to the ShapeSheet. It allows you to find cells that are orphaned or not needed and clean up your shapes, and to potentially track down errors, bad code or circular dependencies. 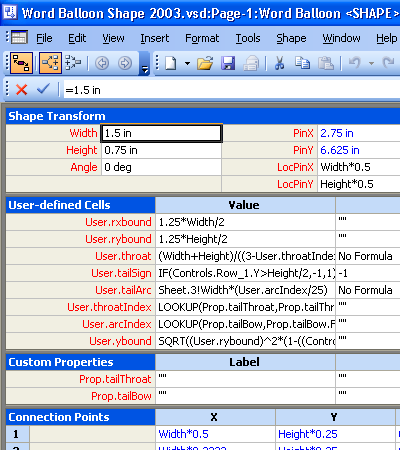 Cell dependencies and precedents are also supported via automation. 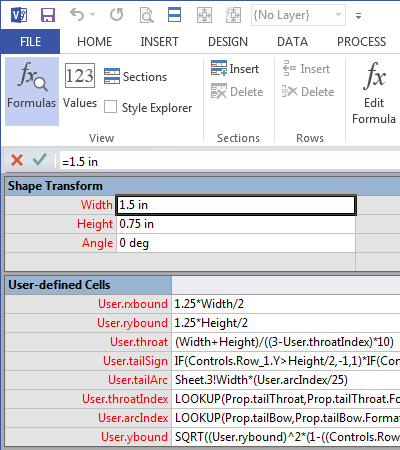 The Visio Cell object has Dependents and Precedents methods, which allow you to programmatically analyze the structure of Visio shapes in a very detailed and useful manner. If you enjoy Visio history, be sure to check out fellow MVP John Marshalls Visio History Page!